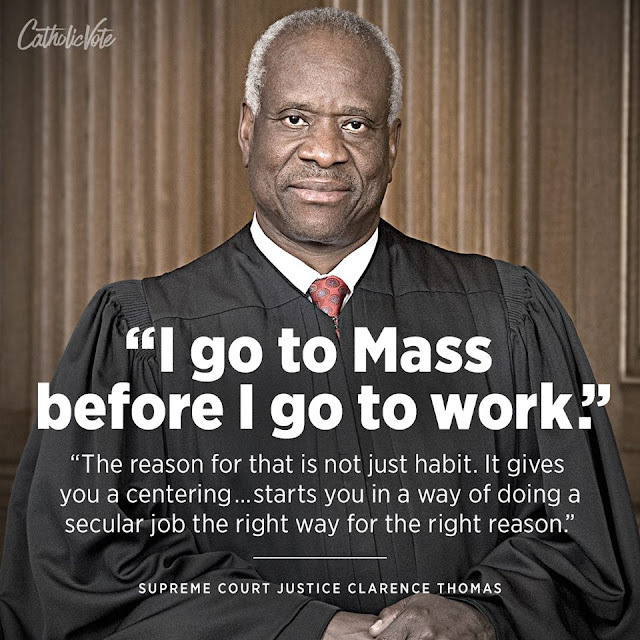 U.S. Supreme Court Justice Clarence Thomas delivered the commencement address to Christendom College. Christendom is a Catholic liberal arts school in Virginia. He gave a profound testimony of his Catholic Faith which touched the hearts of the students. “I spent 25 years of my life in the wilderness away from the Church, and yet the clarion call of Sunday church bells never went away,” he said. “Something restrained me in those days of the 1960s and 1970s. This inner restraint was called a ‘hang-up’ or an inhibition." "So the faith I, you know I go to Mass before I go to work and the reason for that is not just habit. It gives you, a sinner, it starts you in a way of doing this job secular job the right way for the right reasons."